Today I want to highlight some affiliate programs you may not be aware of and also provide some strategies for earning more with programs that have smaller payouts. Some of these options listed contain affiliate links, but only for products I like and use myself. Great news for Camtasia users and anyone else who’d like to get paid to promote it. This affiliate program just launched a few weeks ago and no one was more elated than me! The number one question I receive on YouTube is, What screen recording software do you use? And every time I answer, I silently wish Camtasia had an affiliate program. I was even subscribed to a blog post on the TechSmith site where other wanna-be Camtasia affiliates requested the same thing. Well, our wish was finally granted and I was happy to change the link on my Tools page to an affiliate link. Pssst….. You do have one of these pages on your site too, right? I sure hope so! And now that YouTube allows links in comments, you can reply to curious viewers with your affiliate link should the question come up. Also, if you have an audience with a lot of video makers, you may even want to make your Tools/Resource Page accessible in the video description. I’ve seen several YouTubers do this and I think it’s a good idea — especially if you get a lot of questions about your production. I may even start doing that myself. Program Details: Their affiliate program is managed by One Network Direct so you must sign up with them first. The program pays up to 15% per sale. That may not sound like a lot, but if you consider Camtasia is $300, you don’t need a high commission to earn worthwhile income. I notice a lot of people don’t use affiliate links when recommending apps on their sites. I get that, but I don’t let low commissions stop me from promoting products. I belong to several affiliate programs where I may only earn $50 or $75 a month, but those commissions add up! The key to earning more money with low commission products is to encourage bulk orders — which is a lot easier to do when the products are less expensive. So for example, let’s say you have a website on meditation. You could create a chart on your website with ratings, reviews, etc. that will allow you to display/compare several meditation apps at once. Featuring multiple low-priced products can encourage people to buy more. After I created the chart, all I had to do was enter the shortcode into any page to make a chart appear. Easy breezy! I use this strategy all the time with Amazon and it was partially responsible for a record earnings month of $200 in January. For Amazon, this is a victory for me considering how low their commissions are. Just a year ago, it would take me a full quarter to earn that much with their program. So don’t let those small commission programs discourage you. Use charts and tables to feature/review more products. 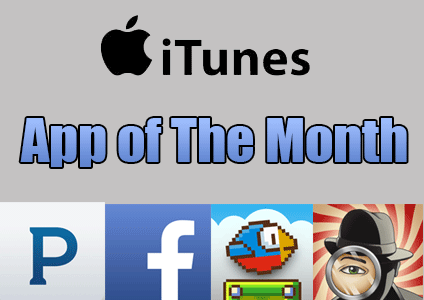 And if there are a lot of relevent apps for your niche, you can also use an autoresponder to email out the “App of the Week/Month” and include a link to a page with a listing of previously featured apps to encourage more sales. Also don’t forget. Not all apps are cheap. There are plenty over $30 believe it or not. Bulk orders are the key to boosting earnings. Program Details: Join the iTunes affiliate program here. It pays 7%. They also offer a variety of ways to promote their products such as widget builders, link makers, playlist creators, RSS feed generators and more. I love programs that provide numerous linking opportunities. No one wants to even think about identity theft, but it’s a very real threat in the world we live in today. Lifelock is one of the oldest identity theft protection services. It’s been around since 2005. If you do any kind of web design / website creation for clients who want more protection, this could be a great program to promote. It’s also relevant for sites on finance, banking, and internet security. Program Details: You can join their program directly from their site or through ShareASale. They pay $32 per sale. PicMonkey is now one of the top, free online image editors. People love the site because their editor is super easy to use. It’s handy for adding a caption to an existing image, which can really add interest. But did you know they also have a premium service that you can become affiliated with? So if you happen to use PicMonkey to edit your images, add this to your Tools page with an affiliate link. Or if you have a web design or blogging-related site, you can recommend this to your readers. Program Details: PicMonkey pays 50% on the initial purchase and then 25% on the first renewal. To join, you can sign up with ShareASale. It’s often difficult to find good affiliate programs for entertainment-related sites. And I really like the idea of promoting brands that people recognize because they seem to convert better. Program Details: Join through Commission Junction. What makes this a great affiliate program is Netflix pays $12 upon the free trial completion. That means your visitors don’t even have to buy anything for you to earn. Goes to show how well their free trial must convert. I like Magazine Agent because you can promote a variety of well-known magazine brands all from one website. And since you are promoting subscriptions, the earning potential is greater. From People, Time, National Geographic to Women’s Day, Sports Illustrated and more. This site has it all and the magazines cover so many different topics, making it suitable for almost any website. Program Details: You must join through Commission Junction or ShareASale and their payout is up to 45% for subscriptions. That’s very generous for a magazine affiliate program. Most people with electronic-related sites are familiar with Best Buy’s affiliate program, but you may not have considered NewEgg. Best Buy is going to earn you higher commissions on average (up to 6% and $25 for Geek Squad). NewEgg only earns you up to 2.5% but offers a lot more products to promote (over 500,000). There are also several free shipping deals which can encourage larger orders. Sure, most electronic programs have low commissions, but let’s not forget that some of the products can cost thousands of dollars and still generate nice earnings for you. This is another topic (electronics) where the chart strategy comes in handy because people often compare electronic products before buying. That can sometimes be much more effective than just a link or banner. Program Details: Join NewEgg here. Commissions are up to 2.5% per sale. The reason Elance’s program is noteworthy is it pays for many different actions. And like Netflix, you can also earn for free actions like sign-ups. If you happen to be in a niche where outsourcing work is common, this is a winner. Program Details: Join here. Commissions go up to $51 per referral, but you also earn when people post ads or sign up as job seekers. This affiliate network has been around for over 15 years, but a lot of people are not familiar with it because it’s more of a niche network. Market Health is a good option if you are in the health and beauty niche. It is also known to provide a higher payout than other affiliate networks and independently run programs in this niche. For example, on Commission Junction you often find health and beauty programs that pay under 10% or payouts are frequently under $10 per sale. On Market Health, it’s not unusual to find offers that pay $30 or $40 per sale. You can also negotiate deals with account managers for higher commissions. This is a program that is very common with PPC (pay per click) marketers due to the earning potential. There are also quite a few recurring-commission products available. Just be careful. Sometimes high-commissions are hiding behind poor quality products. You see this a lot on Clickbank and other networks that offer generous commissions. Don’t sacrifice quality and ethics for income. Program Details: Commissions will vary because this is a network. So once you join Market Health, you can browse their site to find programs that match your niche. Hope you discovered some new gems today. Now I’ll leave you with with a tip-o-graphic I whipped up in Photoshop that reveals the best tips for maximizing your affiliate earnings. I just recently started blogging and I have been scouring the internet for the TRUTH. I have to say your blog is very GOOD!!! Filled with facts and not fluff! Thanks Lisa for this awesome list. I’ve been watching your videos and reading your blogs for a couple months now and you give genuinely great advice. I appreciate the info you provide. Just subscribed to your email list. Eytan — I too cannot find Netflix affiliate in commission junction..starting to wonder if that was removed recently. Regarding the netflix affiliate I can’t find it on Commission Junction – or on netflix site. Does anyone know where I can find the Netflix affiliate program? Thanks for sharing the list for readers here. Lot of information, I am gonna to bookmark these and want to apply for my own blog….Lets try these…. There are some really cool affiliate programs . I am currently using iTunes and Amazon Affiliates. On the one hand amazon is pretty nice if you have decent traffic and you choose product wisely. On other hand in iTunes commission is not that big but still it worth a try . You can start from small and take it to the big level. I would try other service too in future. pickmoneky really offering a good commission rate at click bank you got the same rate on many products even some pays more higher up to 80% . Yes according to me affiliate programs are one of the best ways to earn, but honestly I had no clue about most of the products included with this article providing affiliate programs. A big thanks for introducing such a good way to earn some money with my blog. Hi, Lisa. I’m new in the affiliate market and your post provided me with the right insight so that I can continue researching on this. There’s a plugin called MaxBlogPress Affiliate Ninja and it will automatically insert the provided affiliate link when you type in keywords. So for example, any time you type “Nike Shoes” it will link to the affiliate link you setup. I used to use this, but the downside is if you ever uninstall it, all your links are going to be gone and you’ll have to manually create them. Lisa thanks for sharing about the Programs as it’s an opportunity to earn some money if possible. Another great post, it was detailed and enjoyed it while reading. I did not know itunes had an commission plan. I will try it in the near future. Lisa I have read a lot about getting traffic to a blog but i think the posts are too old. Could you give a link to a newer recent post that could help here. Or just a little advice in the comment section would be nice. Something to think about too, get estimates for each program’s conversion rates. Something can pay you a $1000 commission, but if it never converts it won’t matter. Always calculate your estimated earnings per click to understand what you traffic is worth and if you can find another program with a higher conversion rate to increase the value of your traffic. Some of the best products to promote are in-house affiliate programs. They are more private and less competitors to compete with you to promote them. For good affiliate network, I suggest shareasale.com. Thank you very much, I did not know about half of these. I did know about Market Health though, but for some or the other reason when I put their banners on my site they are fine for a day or two and then they turn into word links – all by themselves. Don’t know why that happens, maybe I’m doing something wrong. But thanks anyway for always sharing such helpful and useful information. Wow! Just after i’ve moved around for over a year looking for what works ad learning so much about everything online. I’ve started a new website which allows me to teach people why and how they can start an online biz and increase their sales. Today,i’ll copy this page to my desktop and start planning on how to gradually input each affiliate programs into relevant posts on my website. Love you LISA! Hi Lisa!!! That was a great post!!! I really like the information you shared about Itunes!!! Thank you so much! I’m a proposal writer and have looked into affiliate marketing but have found it difficult to determine what sites work for my line of business. I didn’t know that some of these sources have affiliate marketing sites. Thanks for this information! I hadn’t heard of WebSimon; I’m a TablePress user as well. This is an excellent list of affiliate programs Lisa, thanks. The list is so long and informative for me to digest all in a take, Im going to bookmark this page, to be able to come back for the next pick, since I have already taken something to try right now. PicMonkey: “the free online image editors” will be a good one to start with. thanks too for the WebSimon plugin, I need to give it a try, Im using tablepress but seems WebSimon will suit better to my content. Shhhh!!! !…Lisa you’re giving away good secrets…lol..just kidding…very good post for those who are not aware…I was very surprised at how many did not know about the programs you mentioned…see sometimes I think I’m the johnny-come-lately and I don’t share what I find…but that’s why there are people like you around who intuitively know others may not know…you have opened up my eyes to reveal a lot of the things I discover to other people…good post for me in a different way…. Will, I’m glad you mentioned that. I learned that lesson long ago when I would put out a very basic post or tip about something and I remember being shocked at how many people appreciated the basics. It reminded me that there are people following at all levels and we can’t assume everyone knows what we know — even though it may seem elementary to us or something we’ve known for a long time. Great comment. Thanks for coming by! First of thank you so much! It’s a great post indeed. I am using few services listed here but didn’t know about their affiliate program. You correctly said–I didn’t bother or was ignorant. Honestly, it opened my eyes. This is where you stand out. It’s too late though it’s not–I am surely going to check few of them. I was just inquiring to start for affiliates. But didn’t getting which product I should start promoting. I asked some of friends, they just say go for click bank and choose a product. But what to choose. I had read your article on click bank affiliate too. From these products, you have mentioned, I can guess my right product now to start with it . Thanks for providing the kind information about these products. This is a brilliant list. I didn’t know about many of the sites, especially Elance. I didn’t know they had an affiliate system in place. Going to grab this right now. I only recently found out about Elance in the last year or so. I had been promoting them for a long time and had no idea that had an affiliate program. I am a business consultant helping entrepreneurs grow their businesses for both face-to-face sales and web-based sales. Having a tools page for my clients is a great idea and one that I will implement with some of your affiliate recommendations. I have used amazon in the past, but this allows a greater variety and allows me to add value to my website. Thanks for your continued wisdom and sharing of ideas. Hey Ann, great to see you here. Yes, I was going for variety here. I have a habit of focusing a lot on programs in my own niche and wanted to branch out to help others that are in other topics. Lisa I am convinced you can read minds; I was just thinking that due to the nature of my website and the fact that I recomend stuff all the time that it would be smart to smart using various affiliate programs. You have saved me tuns of time as you have quite the catalogue outline here. Also loving the graphic. 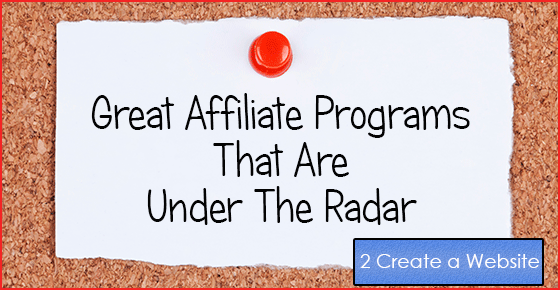 Great List of cool affiliate programs you have here Lisa. I will sign up for some of theme and give it a try, especially Camstacia affiliate. I use camstacia and I think it will be create if i promote it. Yep, if you already use the program then why not right? Good luck! Thanks for all the “Tools” Lisa, love the Infographic (already pinned it). I had a Resources page too, but I renamed it to “Tools”page because I feel people are much more convenient and tempted with that. Definitely some nice suggestions there Lisa – several of which I can use on blogs I own. However for me the real “golden nugget” was the “top-o-graphic” at the end with some really solid reminders. Richard, I’m the same way! It is so much fun creating these images and I probably spent waaaay too much time tweaking that tip-o-graphic. 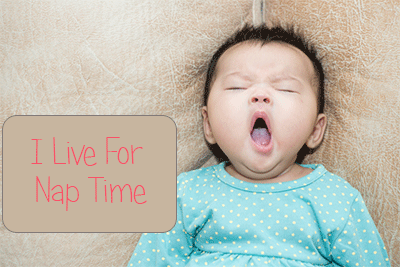 ha ha Canva is by far one of the best new tools out there as well. I use Photoshop but it’s so great that there are many free editors out there now that don’t require people to buy expensive programs to create great graphics. Thank you for the awesome points in “tip-o-graphic”… Specially for #1 tip. I have created sales page for my own product in a separate domain BUT totally forgot to create a “special page” in my main website. I may have. I’m still catching up on email. I get so much mail, I don’t often get a chance to review books. I’m sure you understand. 🙂 But isn’t Canva great????? Thanks for the reply. It was NOT about the review, actually you have given me your permission and NOC, so it was my responsibility to send you a free copy.